I often joke that the library performs miracles, evidenced by the constant supply of forgotten canes and walking sticks in our lost-and-found department. The library doesn’t actually make readers stride unaided into the next chapter of their lives, but we do provide such funny and absorbing books that customers often forget the troubles they arrived with. Below are some titles that will transport you to another time, place, and life. 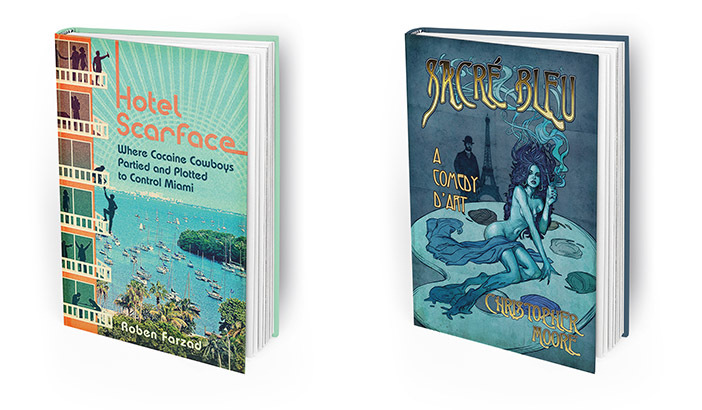 “Hotel Scarface: Where Cocaine Cowboys Partied and Plotted to Control Miami” by Roben Farzad: The notorious Mutiny at Sailboat Bay hotel and nightclub in Miami are the setting for this account of 1980s drug kingpins. NPR host Farzad vividly describes Mutiny’s rogue gallery of shysters, bankers and hotel staff, who were all key pieces of the then-glamorous cocaine trade. Everyone was riding high until paranoia and greed unleashed murder on the city. If you liked “Miami Vice,” try this true-crime story with its colorful characters and pastel sunsets. “Sacre Bleu: A Comedy d’Art” by Christopher Moore: Comedic, acerbic, and occasionally scatologic writer Moore delivers an off-kilter interpretation of Impressionist-era Paris in this novel. Baker-turned-aspiring artist Lucien Lessard (what, you never heard of him?) and Henri Toulouse-Lautrec embark on a surreal journey to find the nefarious paint dealer called the Colorman. Colorman’s special tint, “Sacre Bleu,” appears to be a factor in their friend Vincent van Gogh’s early death. 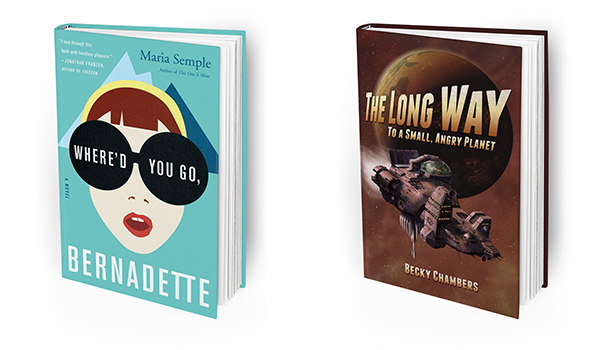 “Where’d You Go, Bernadette?” by Maria Semple: Want to get away? So does Bernadette Fox, award-winning architect, Microsoft spouse, and stay-at-home mom to Bee, a 15 year old leaving Seattle for refinement at an East Coast academy. When Bernadette’s life begins to get a little crazy, she disappears, and the obvious person to find her is her daughter. Provided with her mother’s electronic trail through an anonymous source, Bee reconstructs Bernadette’s disappearance, but lacks a crucial piece that can’t be obtained behind the Georgian façade of her Connecticut boarding school. Of course, this means a trip to Antarctica is in order. Enjoy live musical performances in a family-friendly setting, brought to you by the Friends of La Mesa Library. Local favorites Peter Lauterbach and Mark Hunter of The Waits will be playing guitar and mandolin at the library on Saturday, Nov. 4 at 1 p.m. Note that the library will be closed on Friday, Nov. 10 and Saturday, Nov. 11 in observance of the Veterans Day holiday. — Heather Pisani-Kristl is branch manager of the La Mesa branch of the San Diego County Library. Call the library at 619-469-2151; visit in person at 8074 Allison Ave.; or visit online at sdcl.org.